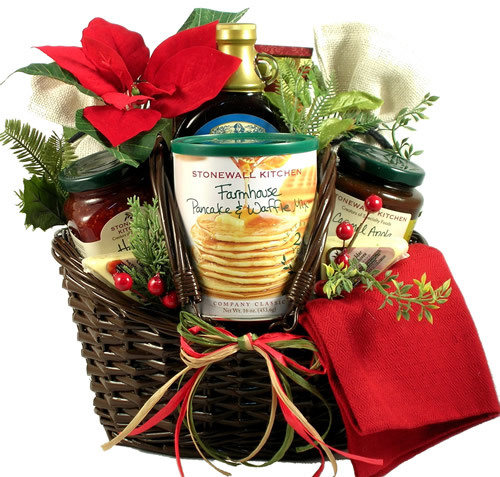 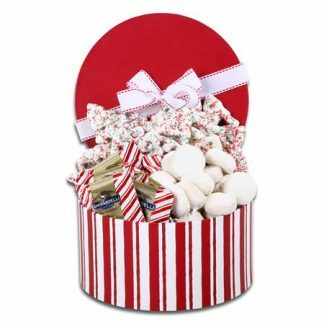 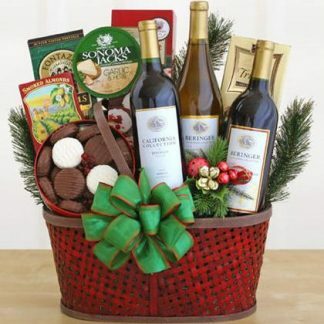 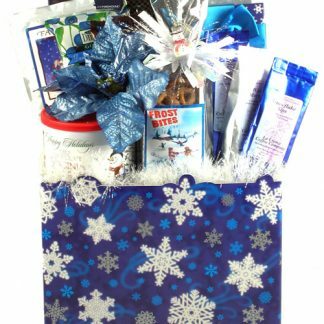 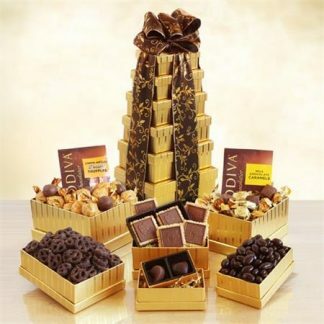 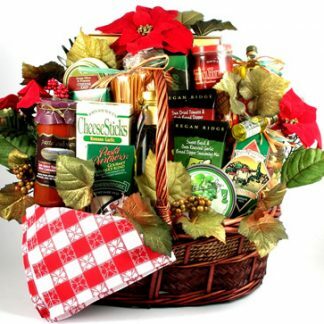 Using only the finest in gourmet from the kitchens of well loved companies like Stonewall Kitchens in Maine and Blackberry Patch in Georgia, we have created this new and soon to be favorite Christmas basket. 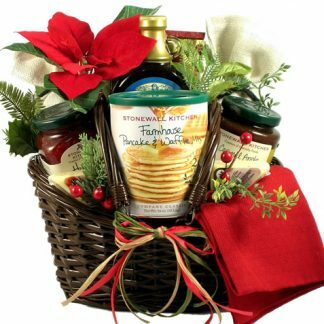 It is filled with delicious gourmet gifts for them to enjoy, including:Farmhouse Pancake and Waffle Mix (16oz)Caramel Apple Butter (12.5oz)Holiday Jam (12.5oz) (incredible! )Wild Blueberry Syrup (12oz) made with plump Maine blueberriesGarden Vegetable CheeseWisconsin Onion and Cheddar CheeseHarvest Medley Fruit and Nut MixFrench Vanilla CoffeeHazelnut CoffeeMint Sipping ChocolateWhite Chocolate CocoaA Wonderful Kitchen Linen Cloth They say breakfast is the most important meal of the day so why not start someone’s day with the best breakfast With so many mouthwatering breakfast flavors, this gorgeous holiday breakfast gift basket isn’t going to stay wrapped for long.